A few of the Chain Gang in Rathmore. 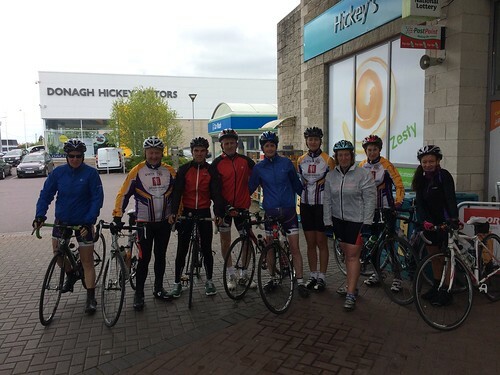 ROUTE…Tralee, Listowel, Finuge, Lixnaw, Abbeydorney, Tralee. Forecast conditions: 18 k.p.h. moderate northerly wind, Temperature c.7 degrees (Real feel c.3 degrees). Wrap up well, but breathable!